I would like to obtain a position of software developer appropriate for my experience and knowledge. Fifteen years of experience with C++ programming, including nine years with Visual C++ and MFC and 5 years with COM/ATL/WTL/ActiveX and IRC, POP3, SMTP, MIME, IMAP protocols. Developed skills in the utilization of ODBC and OLE DB to access databases of different types, particularly ORACLE, DB2 and MS Access. Knowledge of SQL, ActiveX. Modem control developing, including TAPI and AT commands. Waveform-Audio Interface developing: Send / Receive audio data by internet. Using of the Audio Compression Manager (ACM) for coding of the audio data. Audio Mixers developing. Application of the 'Stingray Objective Studio' library and 'Crystal Reports' in my projects. Using the CVS utility for working in the team. Skills of a management of a team of the programmers. COM, ActiveX, ODBC, OLE DB, Microsoft Multimedia SDK (Audio features), TAPI, Microsoft CryptoAPI. From November 2002- September 2006. Full time. 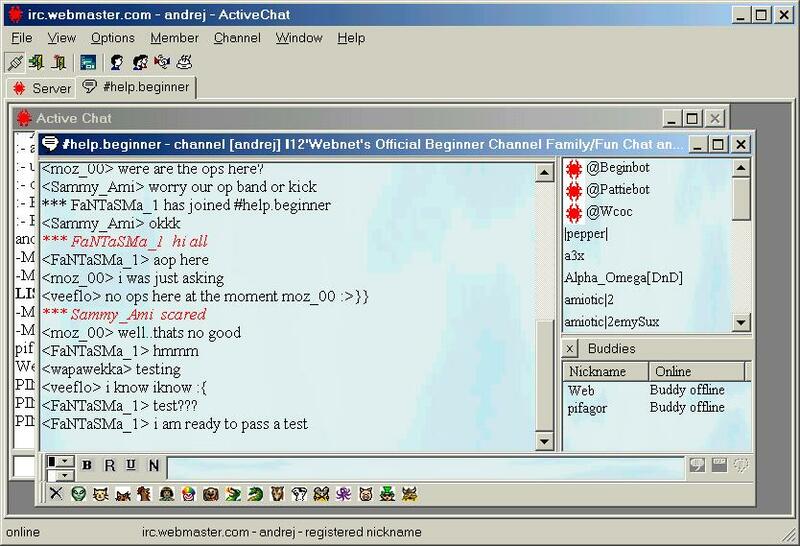 IRC (Internet Relay Chat) Client. See here for details. Developed Application for tracing the activation and deactiavation of a selected program and for tracing any keyboard or mouse events on the PC along with report generation thereof. This report included program work time, user work time sorted by date, document name, application name ... etc. The program works in shadow mode. Crystal Report is used for creating the report. The user can edit any report template to create a new report or request the programmer for same. See Time Tracker for details. Easy database access tool for everyday users. Ease of use was the principal goal of this project. The user can create and edit a database and create forms for the manipulation of data. The user can use MS Access, DB2 or ORACLE database types. ODBC drivers or DAO are used for connection to the database. Installing, supporting and maintaining Internet connectivity for all users. Project: Text Effects. See here for details. Project: Picture Converter http://www.baren-boym.com/ Choose the Solidworks Add Ons item of the Solidworks Tools menu. Picture Converter is a powerful CAD tool, which will be interesting for the SolidWorks CAD developers. Using Picture Converter you can convert any picture from the BMP format to a vector form and insert it into your SolidWork project. The Picture Converter is integrated in SolidWorks environment or can be used separately. TOLtnrs is a development project of a software designed to facilitate the non regression tests of TOL programs under MFC VC6. As the main TOL application is TOLfab program, this TOLfab.exe example is used here.In a first phase we execute TOLfab recording every click of mouse and every key typed. The recorded sequence is memorized. In a second phase, the program is played back with the memorised set of commands. If there is a difference, it must be explained. Usually in a third phase you need to redo the first phase of recording when the tests have failed. Participating in the project of automation of clerical work in the bank sphere. Developing of the client part of the client-server application. My program is used in Central Bank of Russia. Automating of a research experiment. Developing the hardware and software for management of experiment, measurement of the indications of gauges and processing of results. EDUCATION: 1976-1982 Siberian Aerospace Academy, Faculty of systems of automatic control. Electronic engineer. You can check my skills by testing my program - 'ODBC 32 Explorer'. ODBC 32 Explorer is a powerful development tool, which will be interesting for the developers which apply ODBC drivers to access to databases in their applications. You can view and modify any data, tables, views, triggers, procedures, privileges etc. Its simple interface allows easy access to any Data source on your computer. Visual C++ and SQL Source code, generated by the ODBC 32 Explorer, may be used in your projects. Attention!!! It will work with another drivers, but I do not guarantee full compatibility, because I did not test it. Price: $100 plus $25 for each database type. Another one of my programs is Text Effects. Text Effects is a powerful CAD tool which will be interesting for the SolidWorks CAD developers. By Text Effects you can insert into your part or assembly any text, included in an ellipse or circle. You can change a font name, font size, size of the ellipse or circle, rotate text, make the mirror text image and etc. Any language is supported. The Text Effects is integrated in SolidWorks environment or can be used separately. Visit http://www.baren-boym.com/ for details. Tracing of the activating and unactivating of the any program, tracing any keyboard and mouse events on the PC and make a reports about it. You can see a work time of the program, a work time of the user sorted by date, document name, application name etc. The program is working in shadow mode. Crystall Report is used for creating of the report. You can edit any report template, create a new report or ask me to create a new report. Look my client version of the ActiveChat client. You can registered your nickname in the irc.webmaster.com IRC server and create your buddys list. Voice chat available also. MsgBox "Fill in and send email now!" Download the C++ code example. You can embed a Itel Emal tables into your Mocrosoft Access database very simply. Type your database file name into the Local Database tab of the Options dialog and press OK button. Choice the Options item of the Tools menu for opening of the Options dialog. You can use a common address book for all Itel Email users in your office. Type the same address book file name located in your local network for all Itel Email clients. You can do it in the Itel Office Database tab of the Options dialog. The individual sending for each recipient is possible. Choice the Send Individual item of the File/Send Message menu of the New Message window for it. I think, the automatical updating of your applications on user's PC is good idea. Also, sometimes you do not want to add some big files in your installation projects. For example you need to install the MDAC (Microsoft Data Access Components) before using a MS Access databases in your applications. But the MDAC installation program is very big (about 7.5 Mb) and is no necessity to install it on the Windows XP. You can use IOUpdate.dll for it. Comparing a current version of your application with newest updates on your FTP and ask user for updating. Return to previous version in any time if user wants it. Downloading and installing additional files or utilitys from your application.